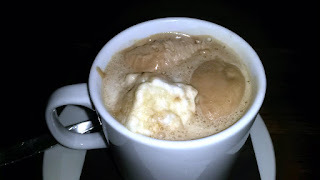 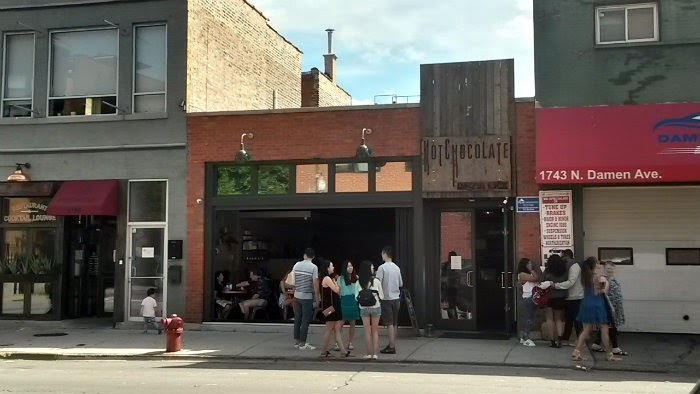 Mindy's Hot Chocolate is located on N Damen Avenue in Chicago, Illinois. 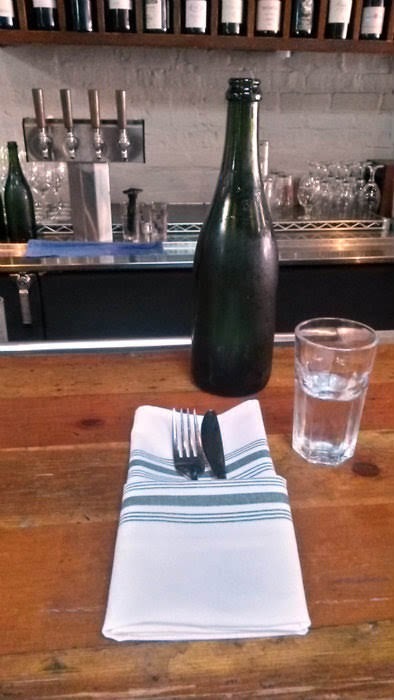 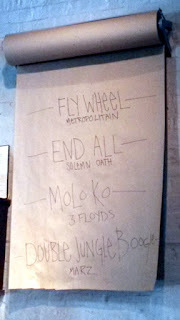 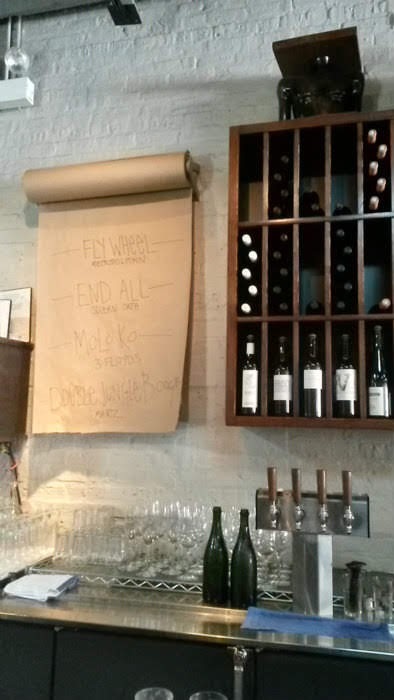 It's not every day that I go to a place with a James Beard-winning chef. 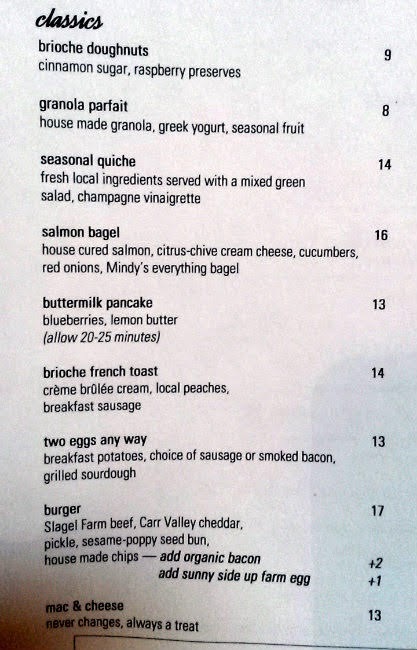 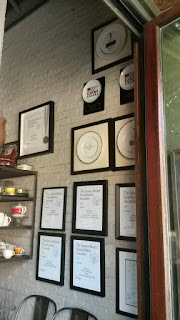 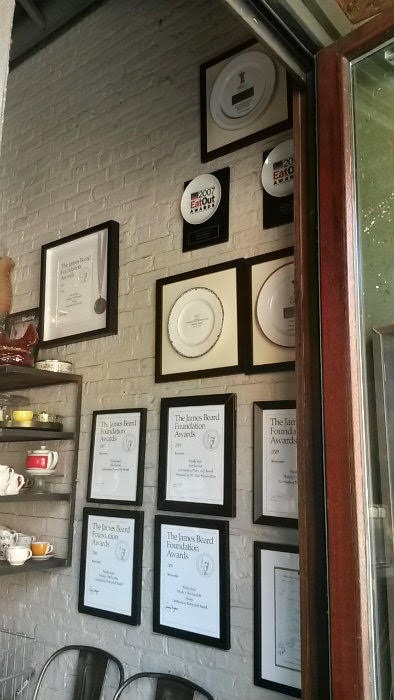 Mindy Segal won the James Beard Outstanding Pastry Chef award in 2012, after five previous nominations. Hot Chocolate has a modern diner-restaurant look to it, with counter seating, lots of tables, and a large open area. 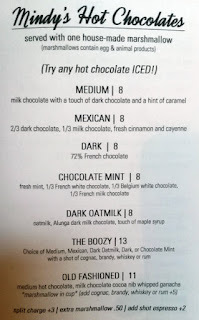 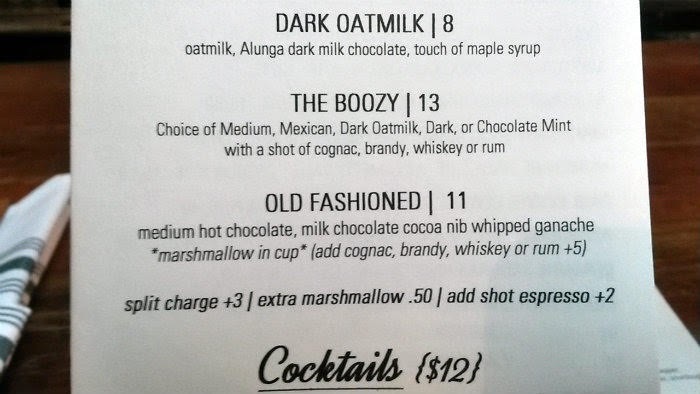 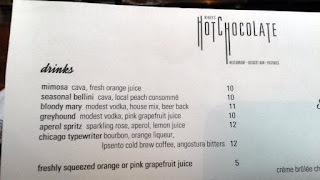 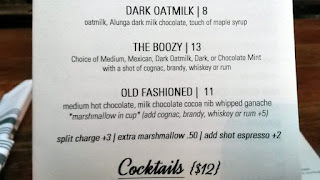 Obviously, I had to start with the signature Old Fashioned Hot Chocolate ($11). 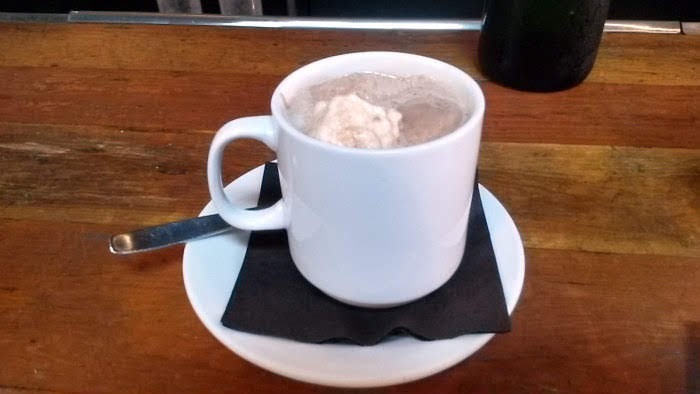 Medium hot chocolate (which is milk chocolate, touch of dark chocolate, and a hint of caramel) and milk chocolate cocoa nib whipped ganache, with house-made marshmallow in the cup. 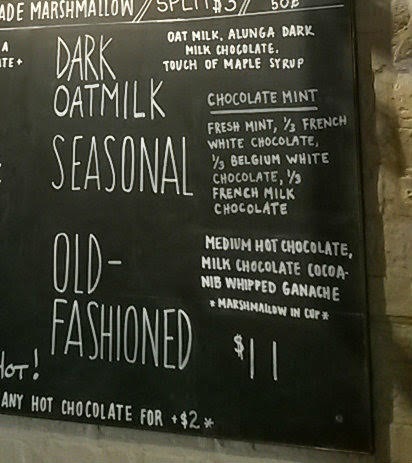 It's a pricey cup of cocoa, but an amazing one. 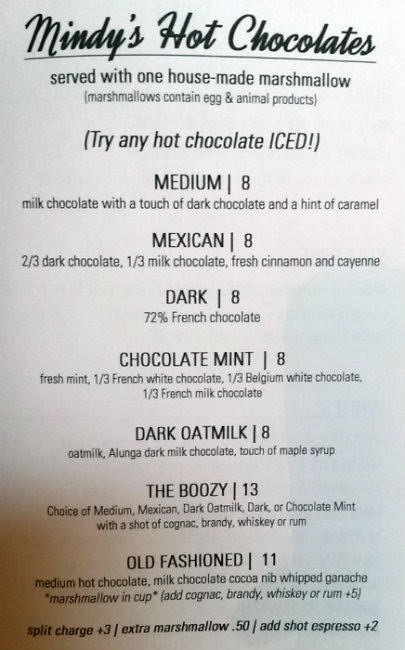 Rich, velvety, tons of chocolate in every sip. For the really hot days, consider getting this in iced form. 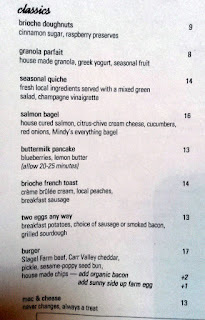 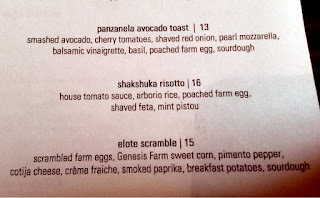 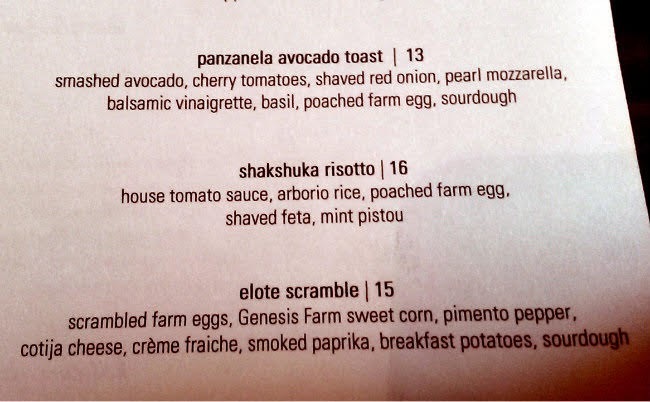 The Shakshuka Risotto ($16) is a must-get. 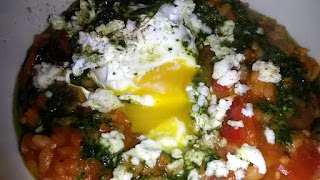 House tomato sauce, arborio rice, topped with a poached farm egg, shaved feta, and mint pistou (oil-based sauce with mint). Everything worked so well. 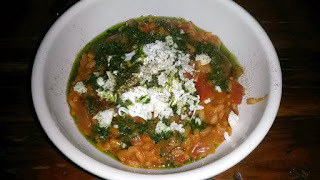 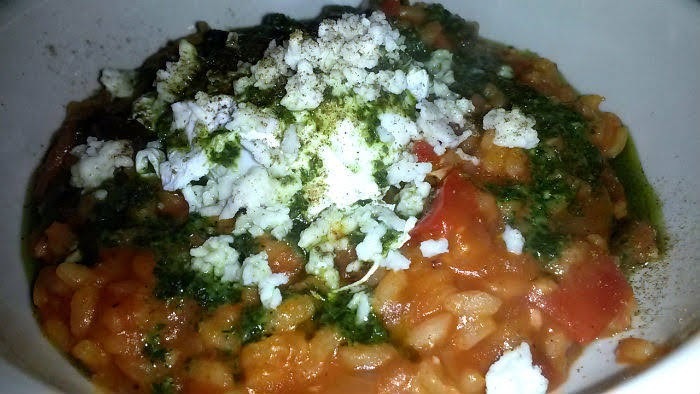 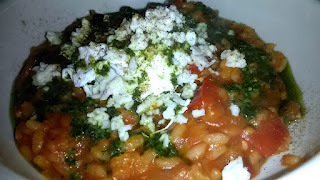 Sweetness from the tomatoes, the perfectly cooked rice, saltiness of the feta, and liveliness of the mint pistou. 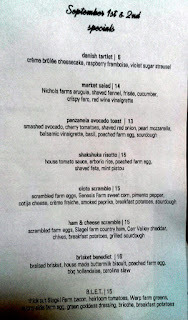 Seriously, one of the most delicious meals I've had in a long time. For the sweet tooth, people have suggested the Brioche Doughnuts ($9), cinnamon-sugar doughnuts served with raspberry preserves. There's a full bar back there, and four taps of some beers local to the region.